The Way Things Go features a seemingly endless chain reaction of everyday objects without human interaction. Ordinarily inanimate objects come alive in chain reaction created by the artists, evoking Rube Goldberg’s humorous illustrations of complex mechanical contraptions that performed simple tasks. The film is a continuation of their investigation of ordinary objects. The premise for the piece extends from their previous photographic series Equilibres (1984-7) which animated everyday objects (kitchen utensils, vegetables, tires, chairs…) in delicate balancing situations, defying gravity. Peter Fischli and David Weiss were an artistic Swiss duo that explored the poetics of everyday life with a distinctive and refreshing wit. Indebted to Dada, Surrealism, Pop Art, and Conceptual art, their work employed humble materials and referenced ordinary subjects. Image provided courtesy of Icarus Films. 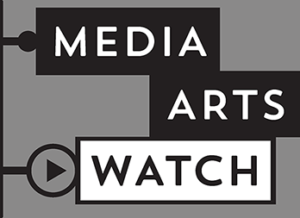 Media art includes artworks that explore the technologies and aesthetics of film as well as the emerging tools and practices in the realms of video, computers, virtual reality, the internet, software, and mobile devices. 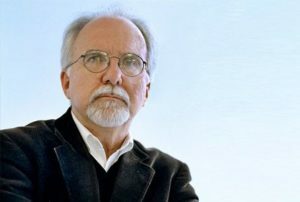 John G. Hanhardt is MAG’s consulting senior curator of media arts. Hanhardt began his museum career in the department of film and video at the Museum of Modern Art in New York City, and from there went to the Walker Art Center in Minneapolis to establish its film program and film study collection. From 1974 to 1996, he was curator and head of the film and video department at the Whitney Museum of American Art. He was the senior curator of film and media arts at the Solomon R. Guggenheim Museum from 1996 to 2006. He joined the Smithsonian American Art Museum’s staff in 2006, and was a consulting senior curator of film and media arts there until 2016. As a native of Rochester and University of Rochester alum, Hanhardt was inspired by photography, film, and media arts during frequent visits to the George Eastman Museum and by the programming of the Visual Studies Workshop.